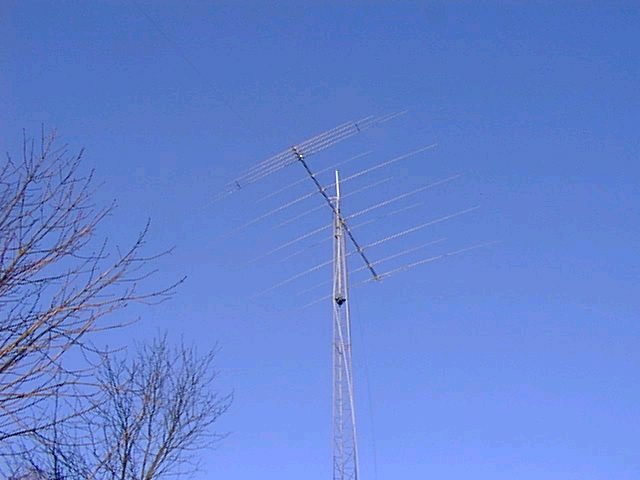 A few antenna pics at OZ8ABE. 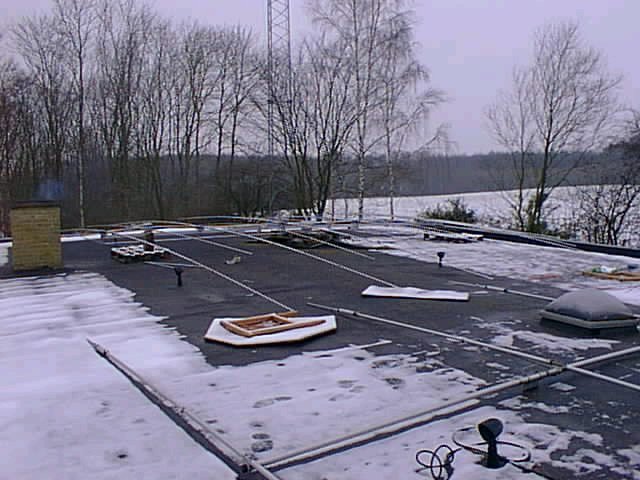 As you can see it was ideal weather conditions when I assemble the antenna. My old A3WS in front, the log periodic behind. I also experience the perhaps only advantage of having a flat roof, this gives you plenty of space for antenna constructions. BTW snow is actually very rare here on the island even though it's 55 N latitude. This antenna have survived over 200 km/h or 150 miles/h wind. It's not a genuine Log Periodic as some of the band are interlaced to the system. It works from 6 - 40m. The 6m dipole element is attached underneath the boom, but it still have some front/back about the same as my old 3 element monobander. 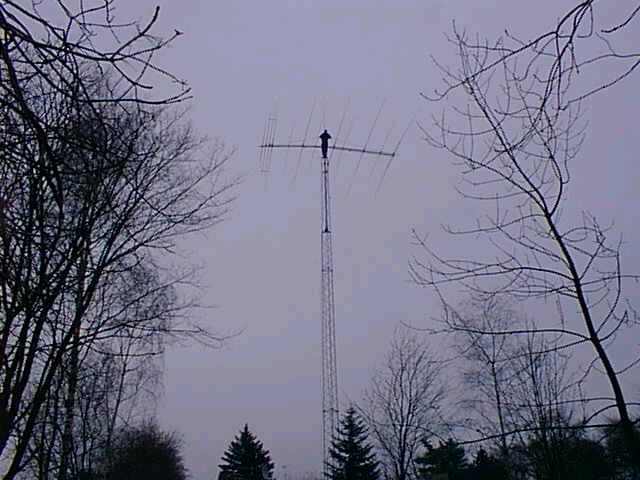 From 10-20m it works as either 4 or 5 element, on 30m as a 2 element and as a dipole on 40m. 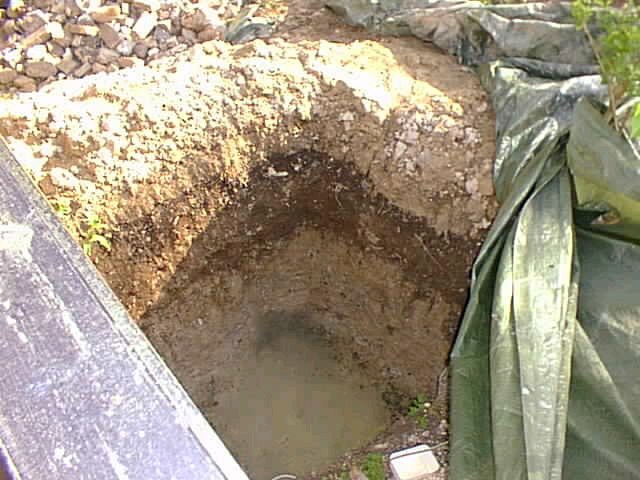 The boom length is 8m or 24 ft.
2 x 2 x 2m. TNX to OZ1LXJ, OZ2ICE, OZ3ACC, OZ8ABA and Bent for climbing, delivering, driving, welding and being so helpful.